Every now and then, a truly extraordinary resort development comes along that is beyond comparison. Chateau Capitoul, near Narbonne in Southern France, is one of them. So rare, so special, so breathtaking, it is a once-in-a-lifetime opportunity to acquire a sensational holiday home and an enviable lifestyle on an idyllic working vineyard estate. About 30 minutes from the Spanish border in the South of France and only minutes from the Mediterranean Sea, Chateau Capitoul will be the last property of this scale from this legendary Languedoc developer. With an impressive track record of restoring historic wine estates and turning them into splendid boutique resorts, the developer’s two previous projects – Les Carrasses and Chateau St. Pierre de Serjac – sold out quickly to Francophiles who came from almost 20 countries. 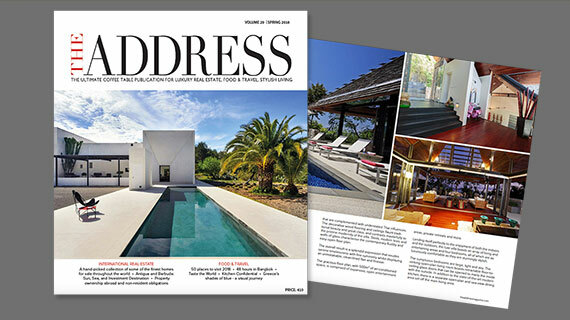 The boutique resorts set a new benchmark for Languedoc real estate. Chateau Capitoul is going to be the crown jewel in this developer’s collection, raising again the bar for luxury resort properties for sale in the South of France. 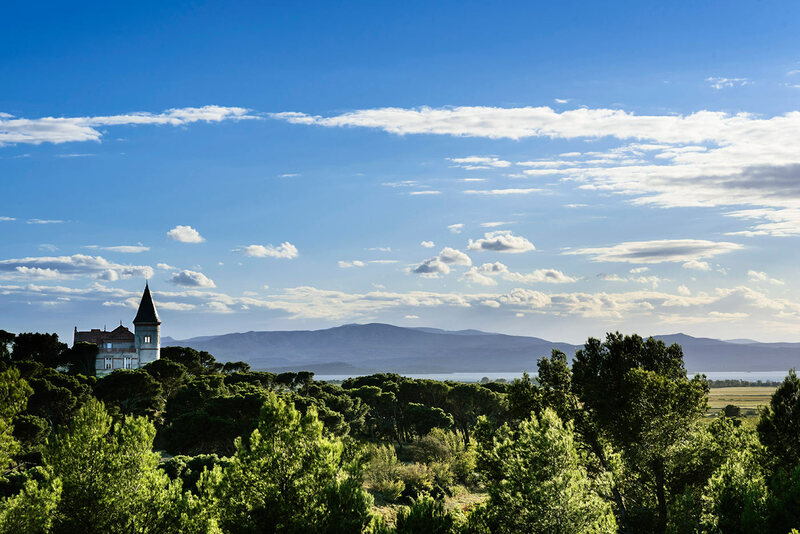 Sitting in one of the most beautiful spots in the Languedoc region, Chateau Capitoul is set on a sunny, south-facing site with panoramic views of the scenic landscape with its vines and lagoons, the sea and the Pyrenees beyond. Nestled in about 240 acres of vineyards, the property includes a working wine estate that produces top-of-the-range wines. There is a limited selection of 2-, 3-, 4- and 5-bedroom townhouses and villas, many with their own private pool, and now available to buy – all on a sunny, south-facing site with panoramic views across the vines and a Mediterranean lagoon to the Pyrenees. The freehold properties will be fully managed and come with letting services that are expected to provide a solid rental income. In addition, owners will receive up to 10 complimentary cases of wine each year. Upon completion of the renovation, Chateau Capitoul will offer 45 sensational, fully furnished vacation homes and will operate as a luxury boutique hotel in the South of France. Eight major airports within 2.5 hours’ drive, including one within 30 minutes. The select number of luxury holiday homes in Languedoc will be new-build, featuring reclaimed roof tiles, chunky beams and large, industrial-style doors. The elegant interior colour schemes will be of muted greys, blues and sage greens. Each bespoke home will be furnished independently, with items sourced from Italy, Indonesia and the antique markets of France. The 45 properties will range from a 2-bedroom townhouse measuring around 80m2, garden and terrace, to 200m2, 5-bedroom villas with infinity pools. These vineyard homes for sale in Languedoc will be hard to surpass. Chateau Capitoul sits at the foot of the Massif de la Clape National Park, Languedoc’s largest natural conservation area and a hiker’s and biker’s paradise. From the chateau, it is a 3.2-kilometre walk along a track to Gruissan, a picturesque old fishing and winemaking village with a lovely Old Town, marina, plenty of shops and wide sandy beaches. There is also a cycle track down to the coast that passes the flamingos on the Etang de Bages, a Mediterranean lagoon, whilst the lively market town of Narbonne is five minutes’ drive away. With Toulouse airport 80 minutes away and Montpelier 70 minutes away, Chateau Capitoul is easy to reach. Perpignan and Béziers airports are within 35 minutes by car, whilst Barcelona is a 2.5-hour drive. The local area is immensely diverse: Cathar castles, charming towns, remnants of Roman sites, quiet beaches, buzzing markets, foie gras in a bistro and oysters in a waterfront restaurant, plus much more. There will two restaurants – a brasserie and a fine-dining one – as well as a large wine bar. There will also be a spa run by famed Cinq Mondes, indoor and outdoor pools and a clay tennis court. The estate’s phenomenal Mediterranean gardens, combining stone terraces and gravel paths through lavender, thyme and olive trees, will be the work of thrice RHS Chelsea Flower show gold-winning designer James Basson. Moorings may be offered to buyers at a reasonable price, paid directly to the town hall. Buying one’s very own vineyard villa in the South of France at Chateau Capitoul is ideal for anyone looking for a beautiful home in a stunning South of France setting, with glorious views, easily accessible, with on-site amenities. Life here is good.